Moist, often sandy soil (or thin soil over rock) in open ground, on stream borders, or more often on knolls or at borders of cedar swamps and trails and roads in mixed or coniferous forests. MICHIGAN FLORA ONLINE. A. A. Reznicek, E. G. Voss, & B. S. Walters. February 2011. University of Michigan. Web. 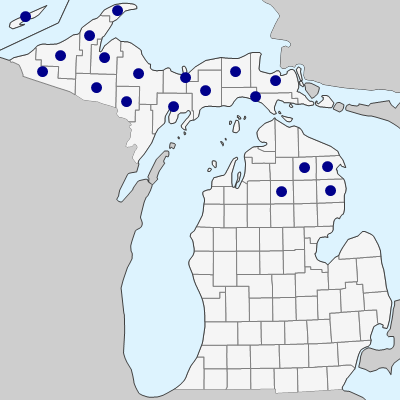 April 19, 2019. https://michiganflora.net/species.aspx?id=948.